Barokopera Amsterdam and ARMA opera (ARt lyrique et Musique Ancienne) organize an opera during the summer each year in Dinard (France). 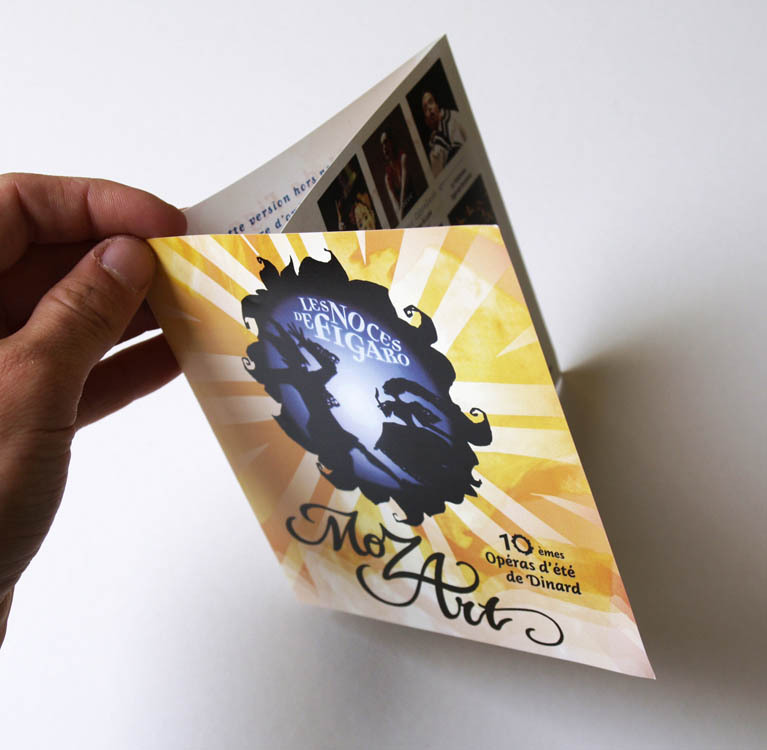 Since 2007 I am responsible for the Artwork of the poster, program booklet, entrance ticket and the flyer. 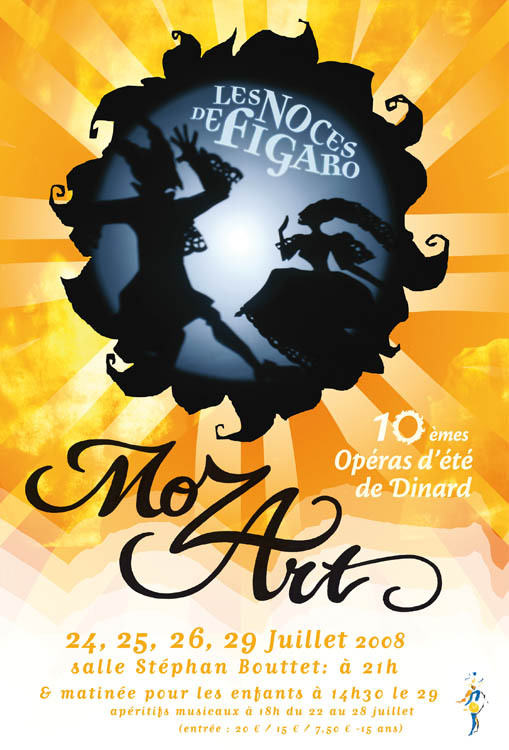 Since the opera is shown only once a year, a recognisable poster was required. In my first poster I illustrated a sun with a theatrical face. This element is now the poster’s fixed element, The theme of last year was shadow theatre.